Earlier this month, Pusha T confirmed a number of guests would be stopping by on his upcoming My Name Is My Name LP, and now the MC has confirmed the album will drop July 16 via G.O.O.D. Music/ Def Jam. 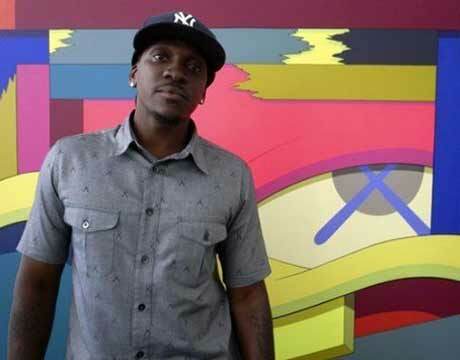 Pusha T delivered the news yesterday (April 29) during an interview on BET's 106 & Park program, but the Virginia rapper also confirmed the due date through his Twitter account, capping the reveal with "#JustKno." While a proper tracklisting has yet to pop up, Pusha T previously revealed that the LP would feature Rick Ross, Future, Kendrick Lamar, Re-Up Gang, Kanye West and 2 Chainz, and feature production from Pharrell Williams, Kanye, The-Dream, Rico Beats, Nottz, Don Cannon, Swizz Beatz and Hudson Mohawke. You can sample the Yeezy-produced "Numbers on the Boards" down below. Pusha T also told BET that a video for the song, which was shot in Paris, will premiere sometime next week.